Observation - Fox - UK and Ireland. Description: Seen early morning walking over the meadow towards cover. 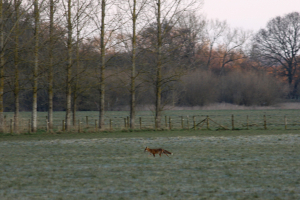 Seen early morning walking over the meadow towards cover.